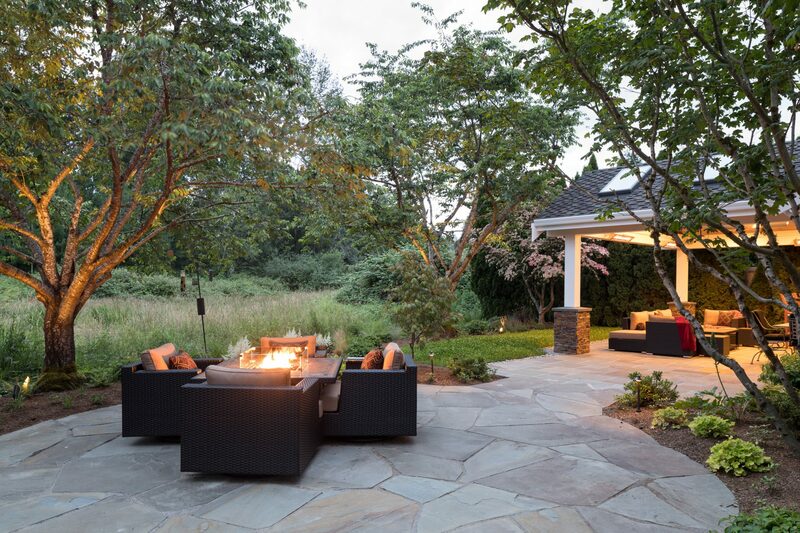 Our client wanted to create a fresh outdoor living space within their outdated backyard and to give a makeover to their entire Redmond, Wa property. 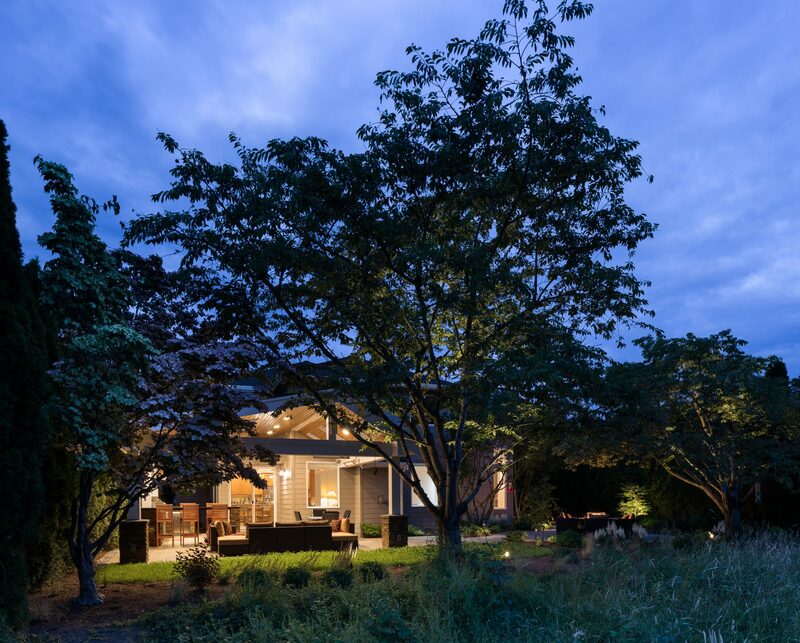 The overall setting was a tremendous asset to the spaces – a large wetland area just behind their home, full of interesting birds and wildlife that the homeowner values. 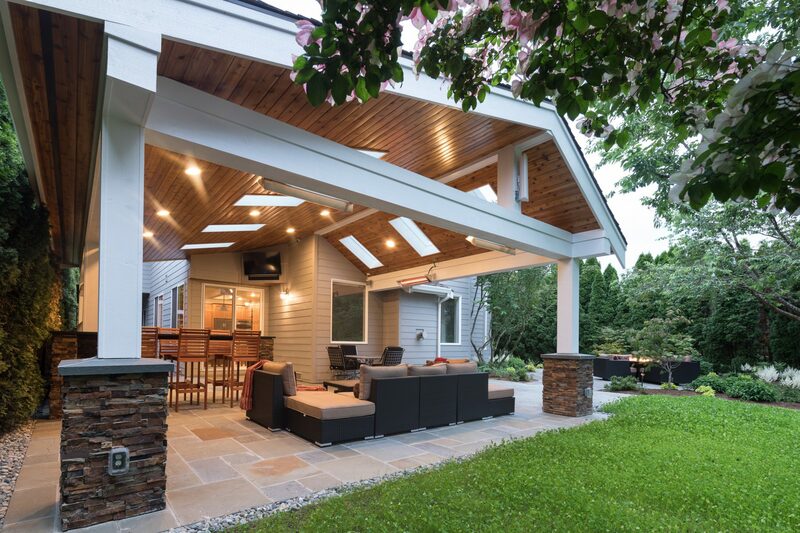 We designed and built a spacious covered outdoor living space as the backyard focal point. 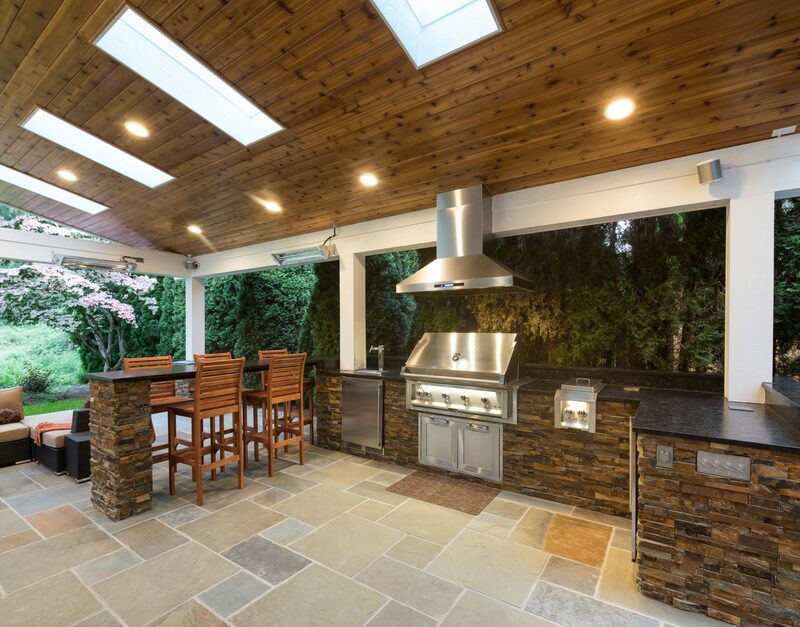 Since grilling year-round was the main goal, the kitchen and bar area were carefully designed to enhance usability. The kitchen features a Hestan grill – every detail of this grill was designed by a chef to maximize function. A Perlick kegerator allows for two beer taps and the Perlick refrigerator holds other drinks and perishable items. 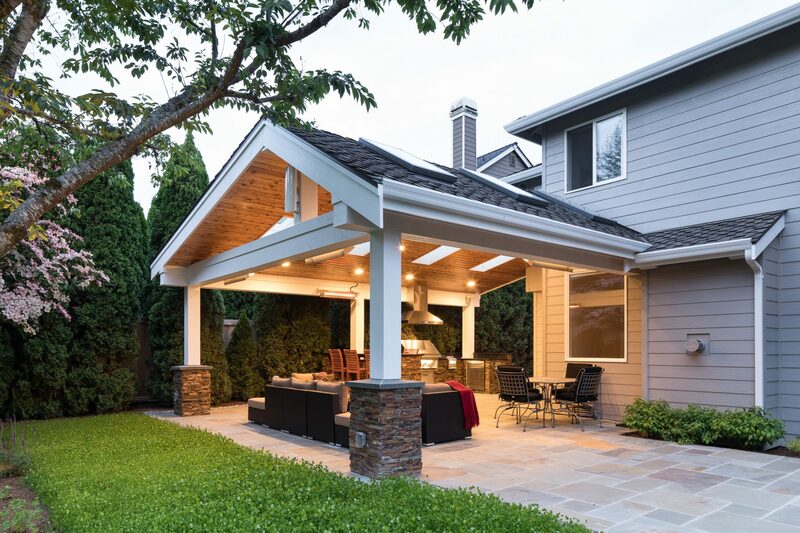 This structure is heated by Infratech heaters for maximum all-season use. 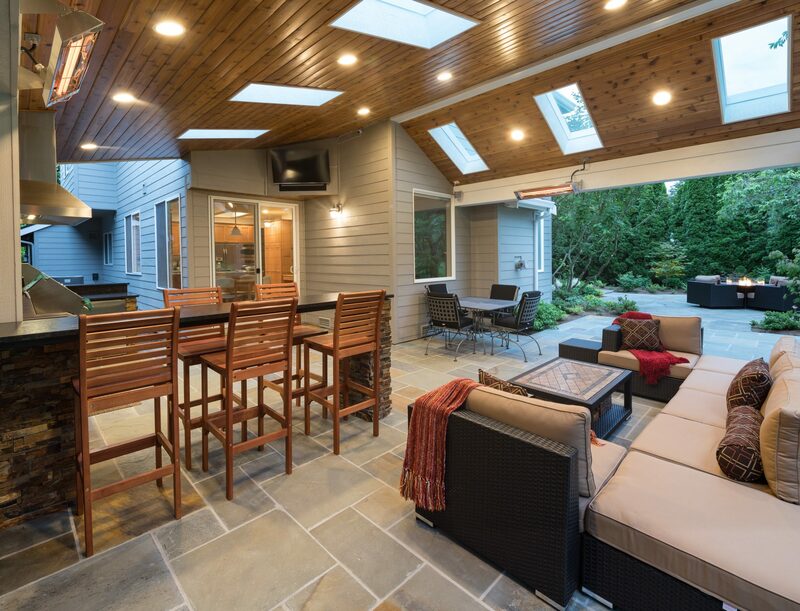 An array of six skylights allows light into the space and the adjacent windows. 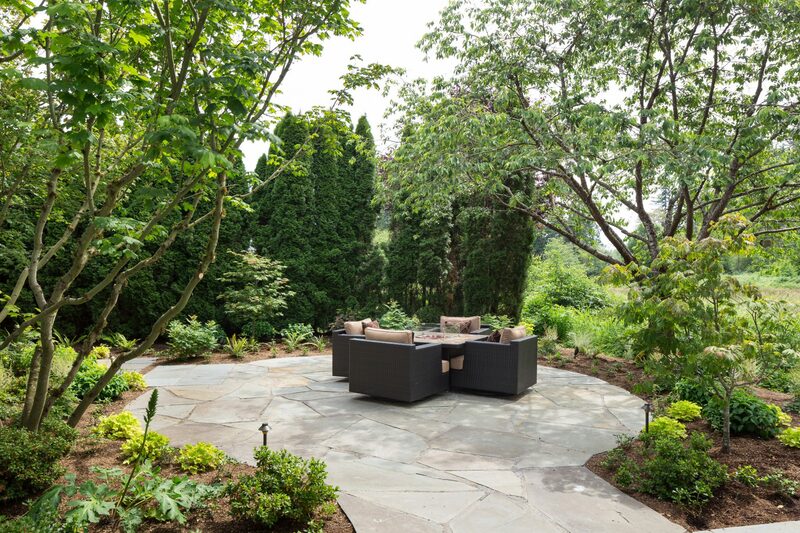 While the covered space is the focal point of the backyard, the entire property was redesigned to include a bluestone patio and pathway, dry creek bed, new planting, extensive low voltage outdoor lighting, and a new entry monument. 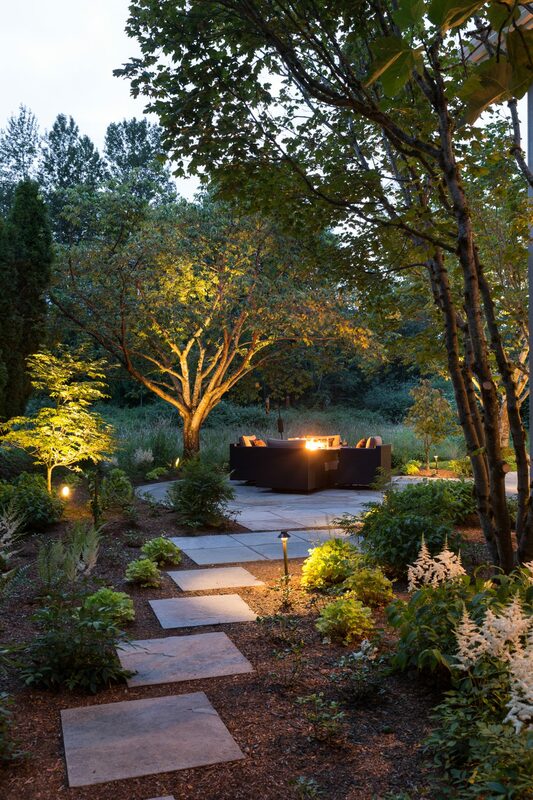 The design fits seamlessly among the existing mature trees and the backdrop of a beautiful wetland area beyond. The structure feels as if it has always been a part of the home. 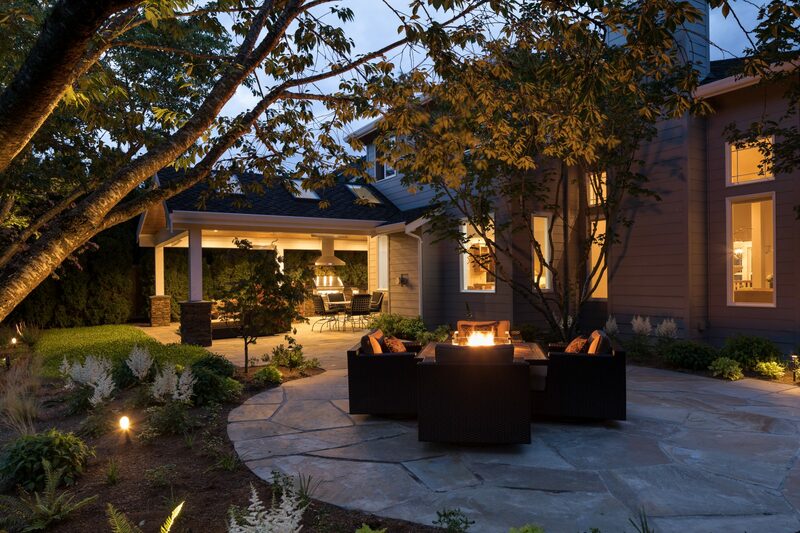 The homeowner reflected at the end of the project that while they realized their landscape was outdated prior to the start of the project, the extent of the transformation was still a surprise to them.